One of the most frustrating things about traveling abroad is figuring out a cost-effective way to use your smartphone while avoiding roaming charges. While there are a few options, most of them are expensive or don't give you enough usable data. The $150 Skyroam Solis portable Wi-Fi hotspot, offers unlimited 4G LTE service while traveling without having to worry about SIM cards or overages. Using your smartphone while you're abroad is, somehow, one of the most frustrating things about traveling. We've become so used to relying on constant connectivity to upload photos to Instagram, stay in touch with group chats, and navigate with Google Maps that at this point, it's fairly hard to go completely without it - especially when you're somewhere new. When you're in a different country, though, and use your smartphone, you might find yourself racking up massive roaming fees. There are a couple of options to avoid the worst of pay-as-you-go roaming. You can register for a short-term international roaming plan with your service provider, but the more affordable options usually don't come with that much usable data - you don't want to find yourself paying a fortune per megabyte after you absentmindedly check Facebook one time. Another option is to leave your phone on airplane mode unless you're near a free public Wi-Fi hotspot. Unfortunately, those are often unreliable, and sometimes they're few and far between. You can also buy a local prepaid SIM card at your destination and put it inside your phone. You'll need an unlocked phone, though, and you won't be able to get calls and texts at your usual number. Plus, it might not be a worthwhile investment - you might not be able to use it in any other country, and oftentimes you can't add credits to the plan from outside of the country where you bought it. In some places, like Tokyo, it's easy to rent a portable Wi-Fi hotspot to use all around the country - you can even pick them up from the airport - but this isn't as easy everywhere, and if there are any issues picking up the hotspot at the start of your trip, you're out of luck. So while there have been fixes to this first-world problem, they've been clunky and inefficient, and over the course of a few trips, they're not very cost-effective. Before a recent trip overseas, I learned about a new option, called the Skyroam Solis, and decided that I had to test it out. By the end of my vacation, I was happy to say that I'd found the best way to stay connected when I travel. 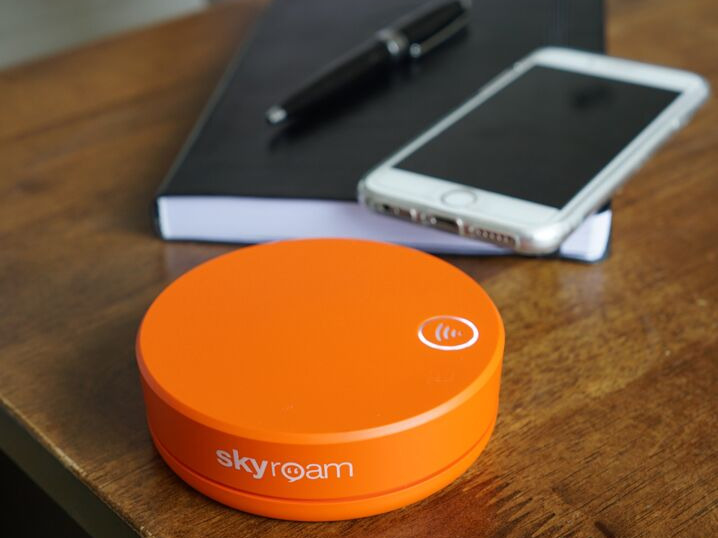 The Skyroam Solis is a portable Wi-Fi hotspot that works in over 110 countries, with more being added continuously. It's incredibly simple to use, and doesn't require swapping out any SIM cards. You just power up the hotspot, connect your phone and computer, and register it by filling out some information on a landing page. Then, you can purchase day passes for 24 hours of unlimited 4G data. Day passes are $9 each, and Skyroam has announced a monthly unlimited plan for an introductory $99 a month - eventually, it will go up to $125. There's no contract, so you can cancel any time. I received a demo unit and tested it extensively in London and Paris during my recent week-long trip. It worked almost flawlessly. There was only one instance when my phone's connection to the device dropped and I couldn't reconnect, but this was easily fixed by turning the hotspot off and on again. Service was fast and reliable, and it felt indistinguishable from just using my phone at home. The only connection issue I noticed was that it could take a minute or so to find a connection whenever I came out of the London Underground, which doesn't have wireless service - I don't hold this against the Solis, though, since my iPhone X had the same problem when I switched to cellular data for comparison. Battery life is rated at 16 hours of continuous use, and in practice I found that it lasted throughout the day. I generally charged it when I went back to my hotel before dinner, but that was more "just in case" than it was necessary. It lasted throughout the one day that I didn't have time to make it back to my room before nighttime. You can also use the Solis as a portable charger for your phone, though keep in mind that this will affect the hotspot's battery life. You can connect up to five devices at a time to the Solis. If you're traveling with family or friends, that means that one day pass will cover everyone's data for the day. The device itself is $149.99 on Amazon, and comes with one free day pass. I checked my cell phone carrier's website, and found that by the end of my planned travel for this winter and spring, the Solis would be less expensive than any useful international roaming plan I could sign up for - that includes the cost of the device and day passes, though factors in my travel companions who can also avoid the pricey roaming plans. My suggestion to anyone using the Skyroam service would be to sign up for your cell phone provider's cheapest international plan, which should cover any calls or texts. I'd also suggest making sure to turn data roaming off in your phone's settings once you're connected to the hotspot - that way, you don't accidentally use data and find yourself surprised by charges. 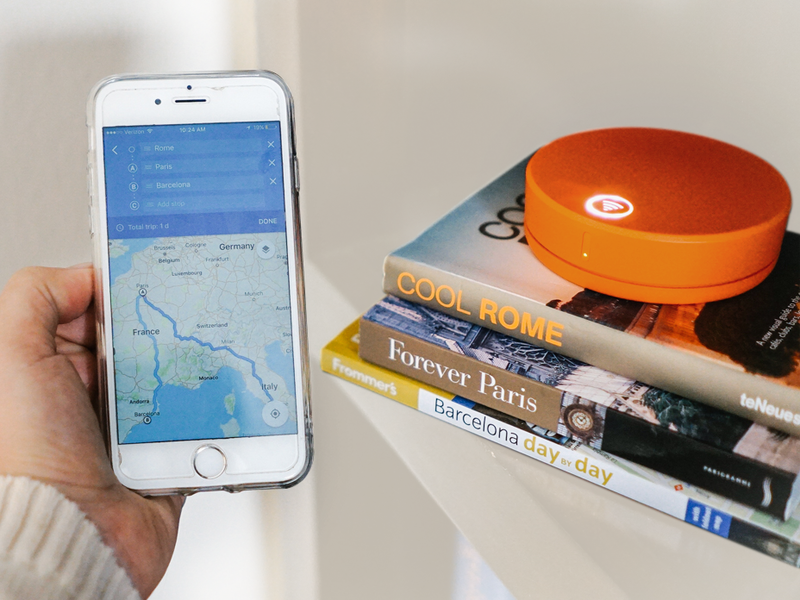 The hassle-free nature of the Skyroam Solis has made it my new favorite travel gadget. I have a few more trips planned this year, and have every intention of bringing a Skyroam Solis with me. Click here to buy the Skyroam Solis WiFi Hotspot and Power Bank for $149.99 from Amazon. Click here to buy 5 Skyroam day passes for the price of 4 - $40 from Amazon.